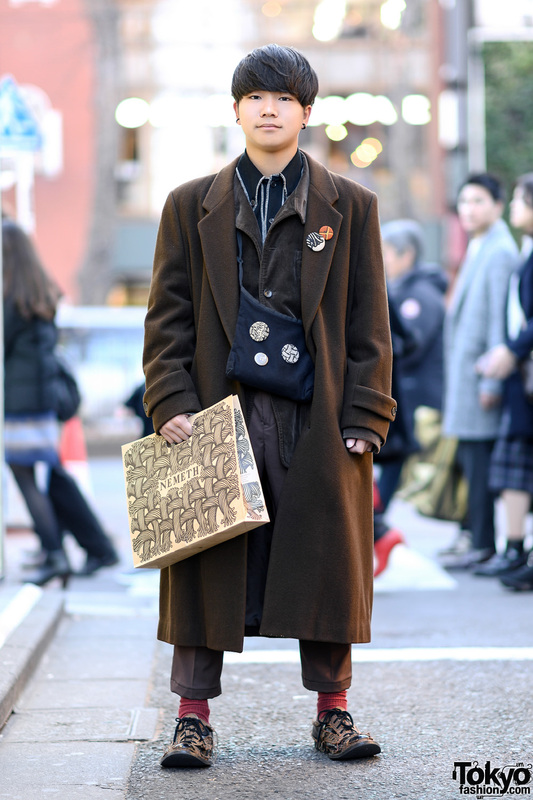 Japanese student sporting a brown streetwear style with resale coat and pants, houndstooth lace-up shoes, and Christopher Nemeth items. 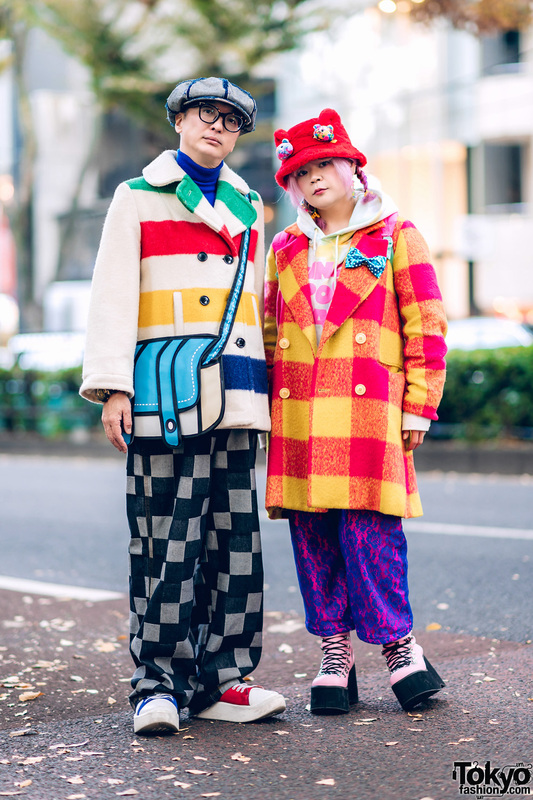 Popular Harajuku duo sporting colorful coordinated street styles while out and about on the street one afternoon. 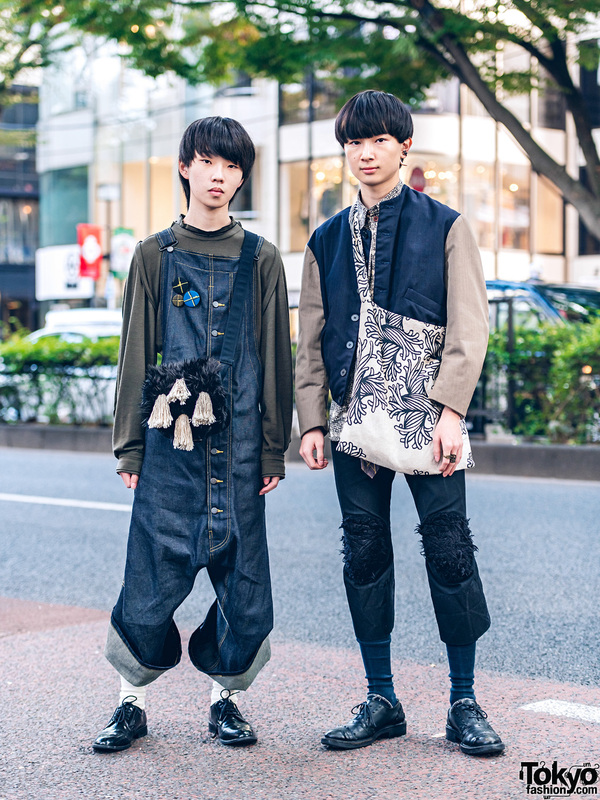 Japanese duo sporting black and red coordinating streetwear styles while out and about on the Harajuku street. 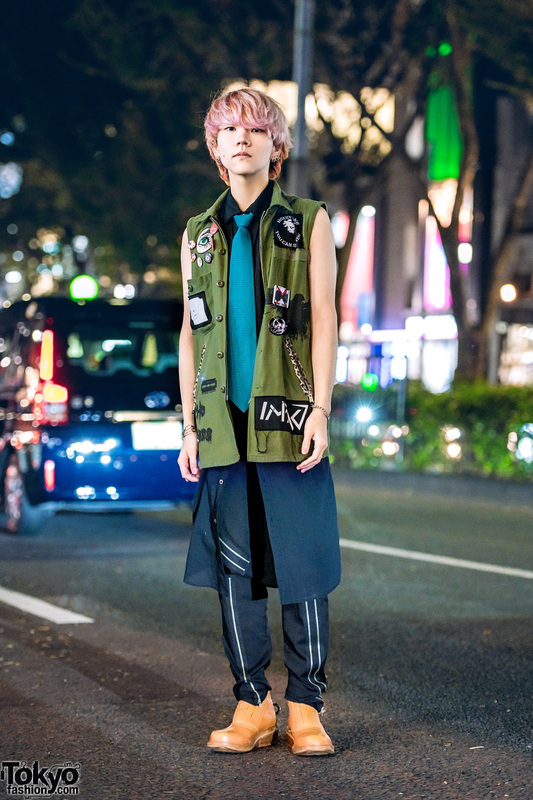 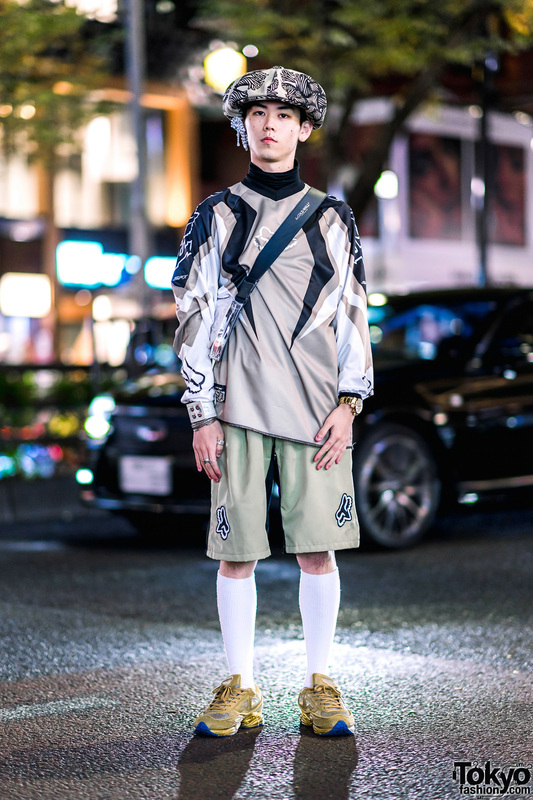 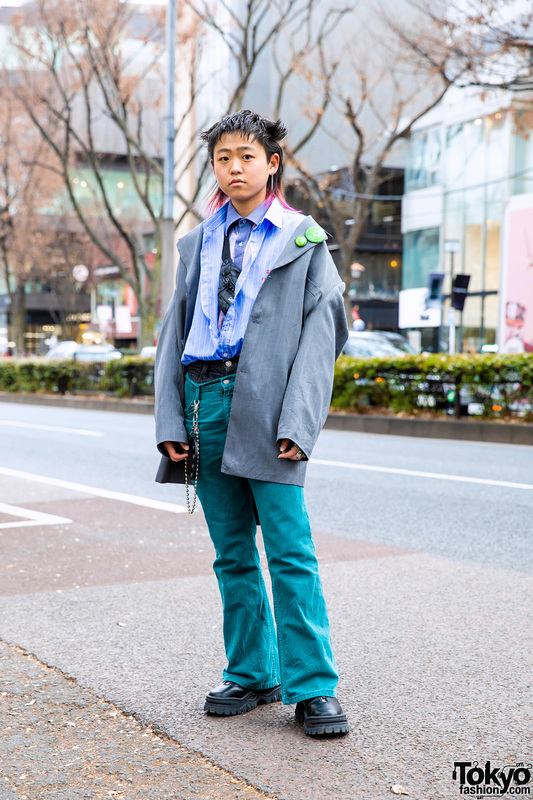 Harajuku guys sporting head-to-toe Christopher Nemeth streetwear styles while out and about on the street.